The most common sign of hardened foot skin is the presence of tough, thick skin known as calluses. These are sections of skin that often develop on the balls and heels of the feet due to pressure, friction and irritation. Individuals who go barefoot frequently or don’t wear socks, and those who stand, run or walk a lot are more likely to develop calluses. A callus isn’t harmful and can be typically shaved or buffed off gently with a pumice stone or other pedicure supplies. There should be no need to see a podiatrist unless the calluses become painful, cracked or inflamed. Corns are a type of callus that is made of dead skin, and they have a distinct center that might be surrounded by skin inflammation. Unlike calluses, corns tend to be painful when pressed, especially as they grown larger. They are usually circular and small, and there are two kinds of corns: soft and hard. Soft corns are often rubbery in texture and whitish in color with occurrences most often presenting between toes and in moisture-prone areas of the foot. Hard corns are predominantly found in hardened skin such as within and beneath calluses and on bony areas of the feet. A foot doctor will likely remove some skin surrounding the corn, remove the center of it and apply a salicylic acid patch that patients replace periodically to complete the removal process. If infection is present, an antibiotic ointment may be prescribed. If the podiatrist suspects an underlying foot problem, he may recommend X-rays for further evaluation. Plantar warts generally present themselves as small growths on weight-bearing areas of the feet such as the heels and balls. They resemble fleshy, grainy lesions and have a black pinpoint near the center. Pressure upon these growths often causes them to grow inward and become buried beneath a thick callus and, as they get larger, the pain can feel like you are stepping on a rock with bare feet. Plantar warts are caused by the presence of human papilloma virus (HPV) that can enter the body through skin breaks or tiny cuts on the feet. Plantar warts can be particularly stubborn to treat at home, so it may be necessary to consult a podiatrist for tough cases that cause extreme pain, bleeding or loss of sensation in the feet. 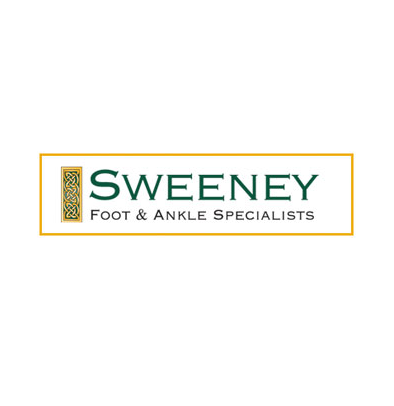 If you have hard skin on your feet and would like to consult a foot specialist, contact Sweeney Foot & Ankle today to schedule an appointment at our office in The Woodlands or Magnolia, TX.